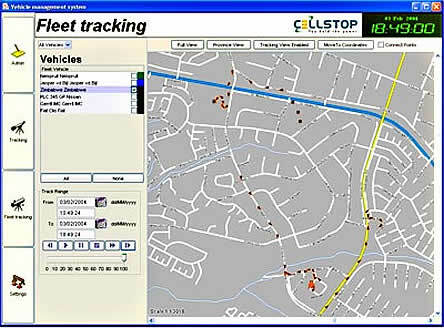 Fleet Management Tools: CellStop has developed it's own mapping and GPS fleet management software programs that are tailored specifically to the needs of fleet managers and dispatchers. Fleet managers and dispatchers can track and communicate with their entire fleet in real time and receive customized management reports. The software is a PC based software. A web based version of the software will be available in the near future. Keep track of your fleet maintenance.